Spent another lovely weekend in SLO last week; had to be sure to get in at least one more weekend of Central Coast adventures before I start classes again and my weekends get consumed once more by textbooks and tests. I love these pieces from American Apparel because they can be styled so many different way, in fact for the Madonna Inn and downtown shenanigans Saturday, I ditched the pleated trousers for my petticoat and chiffon skirt. 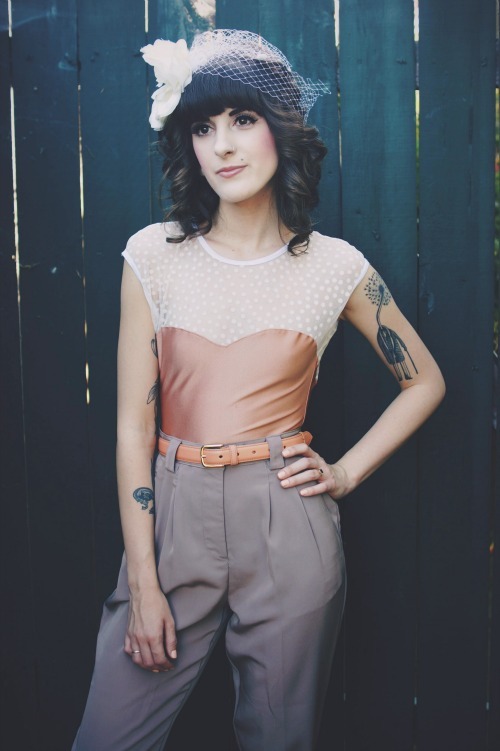 This bodysuit is so fun, a sweetheart neckline + polka dots...yes please! And here's my sister and her husband being the amazing swing dancers that they are!